Google Chrome is one of the major browsers, developed by Google to compete with popular Internet Explorer and Firefox. In addition to fast and stable, the browser has versions for Windows, Mac OS, Linux, Android and iOS. 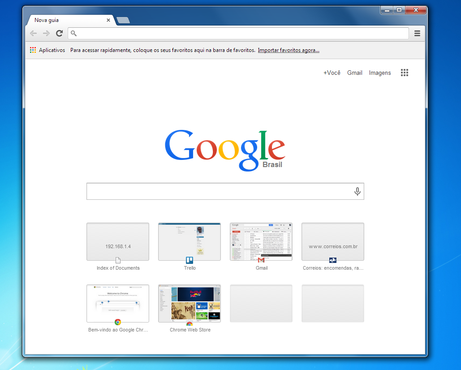 In its version 36, Chrome has further improved and brought many novelties. Download Google Chrome and enjoy its benefits! After downloading the installer file in Windows, click "run" or "save". After that, the user must double-click the installation file to start the installation process. In Windows 7, Vista or XP, a browser window starts automatically after performing the configuration. Already in Windows 8, a box of welcome dialog appears. Just click "next" to choose the default browser. If the user chooses Chrome, it starts as an application in the Windows 8 start screen.